Venus (shukra) to be in Aries sign from 24th May to 18th June, 2014 check how it will effect you, zodiac sign wise result, check below. In Indian astrology Venus consider as factor of sexual desire. Venus cannot give good fruits if it is in 4, 7, 8, or 12th place in birth chart. Weak Venus in Virgo sing also indicates problems in sexual life. The idol of the evil is Venus. It becomes owner of Taurus, Libra and give strength. It is consider in woman’s planet. It is factor of husband/wife. At the time of marriage Venus position is consider for men. If Venus is with Mars, Saturn and Rahu or it is opposite to them then person becomes shy. Man who always looks for other woman their Venus becomes weak. It is the enemy of Sun so that the combination of Sun and Venus considered as bad luck. Venus is the factor of music, art, subject, beauty of body, theatre art, acting and happiness. Most of the actor has strong Venus. Today the factor of happiness is Venus. 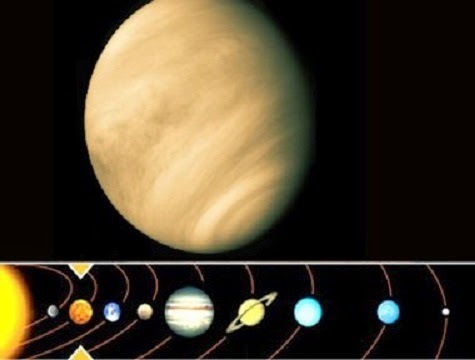 Basic property and luxurious life style depends on Venus. Let us know that the circle of Venus in Aries sign gives what type of benefits to 12 zodiac sign. The rotation of Venus of Aries sign distracts you. You budget will disturb due to expenditure comfort things. You have to avoid unnecessary gifts. The rotation of Venus of Aries sign from the 12th place increases the incidental and unnecessary expense. You have to avoid unnecessary expense. The rotation of Venus of Aries sign from the 11th place increases the basic facilities. You feel happy going on tour, picnic and traveling. Your life style will improve. The rotation of Venus of Aries sign from 10th place becomes factor of your work. Your pending work will be finished. The rotation of Venus of Aries sign from 9th place becomes factor of your luck. If the Venus is strong in birth chat then you will get success in every field where you enter. The rotation of Venus of Aries sign from 8th place increases your health. You will get remedy for your depression. You have to take care by urine and abdomen pain. The rotation of Venus from 7th place will give you happiness in your woman/friend/partner and personal life. Those who are in relationship they have mutual understanding. The rotation of Venus of Aries signs from 6th place increase your tension due to enemy and oppositions. You have to remain careful with your girl friends and their conduct with you. The rotation of Venus of Aries sign from 5th place becomes factor of good result for the students. Students of fine arts get good success. The rotation of Venus of Aries signs from 4th place increase the happiness of mother. You will get benefits from relative (girls) and girl friend. Those who are in relationship they will create good mutual understanding. The rotation of Venus of Aries sign from 3rd place becomes factor of your feat. Your confidence increase as you will get good result of your efforts. The rotation of Venus of Aries sign from 2nd place increases the financial condition. You become happy by getting love from family. You may buy new things.